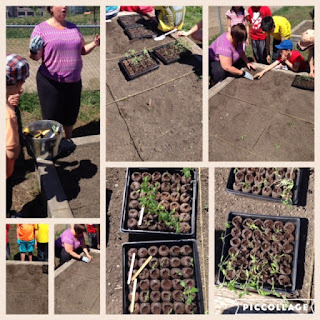 Today all 5 Grade Three classes got together to plant our Tomatosphere plants in the St. Cecilia garden. The students were so excited to prep the gardens, plant and water. 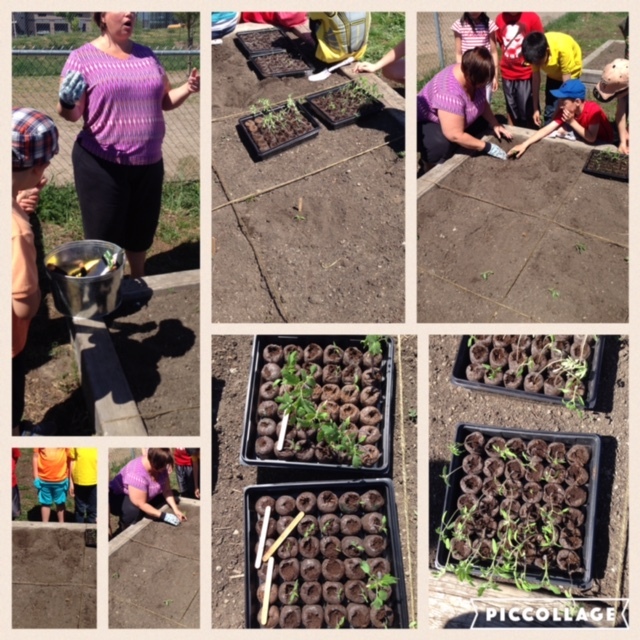 We decided to plant the larger, stronger plants first and wait until our tiny seedlings become a bit stronger. The Grade Three Students are looking forward to continue their observations over the next few weeks and see how our plants grow and change now that they have more room to grow!